This autumn is going to prove to be a watershed season for Firefly Programming. Having a professional, seasoned manager on the team is just the beginning. One Firefly LLC, parent company to multiple business units that each offer unique services for the custom electronics industry, today announced industry veteran and Crestron expert, Kirk Holder, has joined the Firefly Programming team in the position of programming manager. Since its inception in 2011, Firefly Programming has experienced consistent growth in-line with growing market demand for Crestron control system programming. The company’s growing team and client responsibilities necessitated the creation of the manager position. 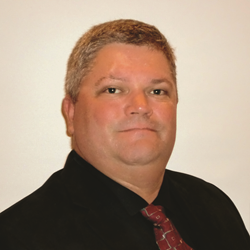 Kirk Holder’s new responsibilities include overseeing efficient and effective delivery of programming solutions for both residential and commercial projects. He will coordinate with Firefly Programming team members, integration clients and end-users to ensure all projects are delivered on time, on budget and with the high standard of excellence which defines all of the One Firefly brands. Kirk’s career experience includes over a decade with New Jersey-based control systems manufacturer Crestron Electronics fulfilling roles from support engineer, training instructor, and senior technical curriculum developer all while operating out of the Orlando regional office. He holds CTS, DMC-E4K, and Gold Master certifications. Prior to joining Crestron in 2001 he worked for a commercial integration firm in Iowa managing installations and programming projects throughout the Midwest. Firefly Programming is operated as a division of One Firefly, LLC and is a full-service control system programming company specializing in Crestron home and commercial technology solutions. Licensed by Crestron Electronics as an authorized Crestron Services Provider or “CSP”, its top priorities include strong relationships with customers and providing the highest level of service, regardless of project size. With a broad range of programming and user interface design experience, Firefly Programming is well-equipped to tackle residential and corporate Crestron projects. Firefly Programming is based in Hollywood, Florida with additional offices in Orlando, FL and multiple cities in Mexico.